Those of you who know me know that I’m a massive baseball fan. And when it comes famous baseball quotes, most come from one player: Yogi Berra. When we think about retirement planning, $1,000,000 is often considered a kind of “golden threshold.” Many people think of a million dollars as the minimum nest egg they’ll need in order to retire comfortably. But as Yogi pointed out, being a millionaire doesn’t amount to what it used to. 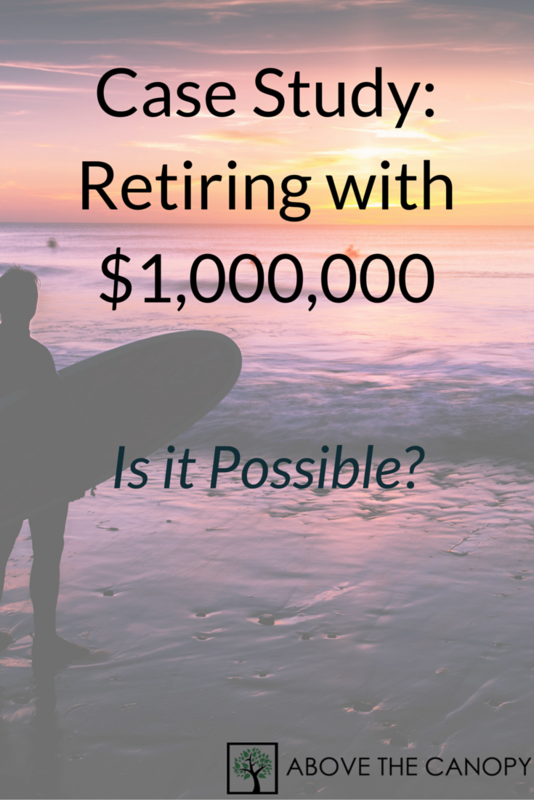 So is it even possible to retire with $1,000,000 these days? Let’s find out. In this post we’ll explore a hypothetical couple named John and Jane. They’ve saved $1,000,000 and want to retire, which is a common situation for many Americans. Any time we talk about retirement income planning, it’s best to start with cash flow and budgeting. So for John and Jane, we’ll start by evaluating how much they plan to spend throughout retirement, and how that might be different from their spending habits now. Let’s say they have their house paid off and don’t plan on moving any time soon. John is 66, and is planning to enroll in Medicare after he officially retires and leaves his employer’s health plan. He and Jane are planning on traveling some to see their kids, and think they’ll need $52,000 per year to maintain their lifestyle and independence. John is eligible for social security benefits and plans to file at his full retirement age of 66. He expects $1,785 per month, or $21,420 per year in benefits. Jane is not eligible for social security. John’s nest egg is sitting in his company’s profit sharing plan, meaning all taxes and gains have been deferred. This means that his withdrawals throughout retirement will be added to he and Jane’s taxable income. At this point we know how much John & Jane need per year to live comfortably, we know how much guaranteed income they can expect, and we know the size of their nest egg. The next step is to evaluate their retirement income gap. This is the amount of income they’ll need each year beyond what they can expect from guaranteed sources. In other words, it’s the amount of income they’ll need to create each year from their nest egg. In John & Jane’s situation they’ll need $52,000 per year to live, and can expect $21,420 per year from guaranteed sources (social security). Thus, they’ll need to create $52,000 – $21,420 = $30,580 each year from their nest egg. This is their retirement income gap. The important thing to remember about a retirement income gap is that it will widen throughout your retirement. Thanks to inflation, everything we buy on a regular basis will become more and more expensive as we age. Fortunately, social security benefits have “cost of living adjustments,” or COLAs. They are designed to keep up with inflation, and help retirees preserve the purchasing power of their benefits. But while social security benefits and most pension benefits incorporate some kind of cost of living adjustment, other retirement income streams do not. Most notably, income annuities pay you a consistent stream of retirement income each month, and rarely incorporate an inflation adjustment. Let’s say that John & Jane have their retirement spending need of $52,000 per year, and social security benefits of $21,420 per year. This means that they’d need to generate $30,580 each year from their nest egg of $1,000,000. Let’s also assume that they decide to buy an income annuity with $250,000 of their $1,000,000. The annuity will pay an income of $13,200 per year, but it does not increase with inflation. As you can see, their retirement income gap would widen each year. And since their annuity wouldn’t include any cost of living adjustments, this income gap would widen faster than the rate of inflation. In John & Jane’s situation, they need to squeeze $30,580 per year from their nest egg of $1,000,000. And since the nest egg is sitting in a qualified plan, they’ll need to produce $30,580 after paying tax on the withdrawals. But would John’s social security benefits also be taxable? The IRS calculates “provisional income” when determining whether to tax your social security benefits. Provisional income is your adjusted gross income (AGI), plus any tax exempt interest you receive, plus 50% of your social security benefits. John and Jane’s only source of AGI would be from the withdrawals from John’s retirement account. But in order to produce $30,580 in after tax income, they’d need to withdraw more than $32,000 per year from his qualified plan. Adding in half of his social security benefits would put them well over the 50% threshold, and just under the 85% threshold. After accounting for the taxes John & Jane would pay on the withdrawals and 50% of his social security benefits, we can calculate that they’d need to withdraw $35,000 per year from John’s retirement account in order to produce $30,580 in after tax income. OK, so now that we know they’d need to withdraw $35,000 from their $1,000,000 nest egg, what exactly do they do with that nest egg. Will $1,000,000 be enough? First, they could annuitize the entire $1,000,000. John and Jane would hand over the entire $1,000,000 to an insurance company, in return for an annuity that pays you a guaranteed monthly income for the rest of their lives. By annuitizing there’s no risk that they’d ever outlive their money, or that they’d have to cut spending because of poor investment performance. On the other hand, they’d lose total flexibility over their nest egg. If there’s an unforeseen emergency or expense, they wouldn’t have any of the $1,000,000 at their disposal. They also wouldn’t have anything left over for their beneficiaries. John & Jane could also invest the entire $1,000,000, and use none of it to buy an annuity. They could build a portfolio designed to match their income needs and tolerance for risk. And if the income from the portfolio isn’t enough, they could draw from the principal $1,000,000 to make up the difference. The risk here, of course, is that they’d withdraw too much of their principal and spend their retirement nest egg down to $0. This could happen if there were a financial catastrophe or if they just spent their nest egg too rapidly (or both). By investing they wouldn’t have a guaranteed income stream, but they would have total control over their portfolio. They’d also be free to leave anything left over to their beneficiaries. When you think about it, these two options are complete opposites. On the one end you have a 100% guaranteed income stream, but no flexibility or death benefit. On the other, you have zero guarantee but total control. Anything in between is a mix of the two, which creates a retirement income spectrum. In my practice, I help my clients gauge where they fall on that spectrum, analyze their options, and execute whatever strategy they choose to pursue. Their position on this spectrum mostly depends how much risk they’re comfortable taking and how much control of their nest egg they want to retain. Here, let’s assume that John and Jane have a moderate tolerance for risk, and they decide to annuitize just enough of their nest egg to cover their most basic living expenses. That way, no matter what happens in the financial markets they know they’ll be able to pay for groceries, utilities, taxes, and other essential expenses. These essential costs total about $2500 per month. Social security will cover $1,785 of this amount, meaning that John and Jane will need buy an income annuity that creates $715 in monthly income. Let’s assume that to be on the safe side, John and Jane opt for an annuity that creates $1,000 in monthly income. At current rates (and their ages and other variables) this annuity would cost about $300,000. So what do we do with the $700,000 left over? Remember that social security and the income annuity are only covering John and Jane’s most basic expenses, like groceries, taxes, and utilities. They’ll still want to travel to see their kids and spend money on other things to live a comfortable lifestyle. Their spending objective of $52,000 per year works out to $4,333 per month. This means that after accounting for guaranteed income, John and Jane will still need to create $4,333 – $2,785 = $1,548 per month from their nest egg. In other words, they’ll need to turn $700,000 into $1,548 per month (or $18,580 per year) for the rest of their lives. And since $18,580 is 2.65% of $700,000, John and Jane should be just fine. You may have heard of the 4% rule of thumb when it comes to retirement spending. The 4% rule states that over a 30 year retirement period, you can withdraw 4% of a portfolio per year, indexed for inflation, without running out of money. With 2.65% being well under that threshold, I would feel very good about John & Jane’s situation. That said, I understand that this may not give everyone complete confidence. The 4% rule has taken some “heat” in recent years, and some professionals don’t think it can even be relied on any longer. In my opinion the 4% rule is still a great starting point. I base this opinion on work done by William Bengen (the creator of the rule), the “Trinity Study” (work done by three professors at Trinity University in Texas), and Wade Pfau, a contemporary financial researcher. Mr. Pfau is the most critical of the 4% rule, and claims that lower future returns in the stock and bond markets increase the chances that a 4% withdrawal rate is too high. But even if you subscribe to Mr. Pfau’s theory and believe a 4% spending rule in retirement is too aggressive, John and Jane plan to withdraw 2.65% of their nest egg each year. This is a far smaller withdrawal rate than 4%. In fact, the Trinity Study (which tested different withdrawal rates and different time periods) claims that historically, a 3% withdrawal rate worked 100% of the time over even 40 year retirement periods. With John currently 66 years old, his life expectancy is somewhere around 83 years of age. According to the trinity study, John could live to 106, increase their withdrawal rate to 3% per year, and STILL have a 100% chance of success. We’ve already established that John and Jane have a moderate willingness to tolerate risk, based on their decision to annuitize 30% of their nest egg. 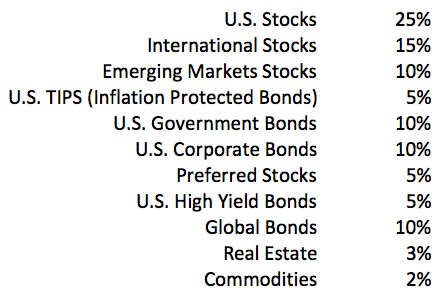 Given this risk tolerance, and the fact that John is so close to retirement, we’d probably draw up a portfolio of around 50% stocks, 45% bonds, and 5% in alternative investments like commodities and real estate. We’d of course want to build the portfolio using mainly low cost ETFs and mutual funds, with an eye toward minimizing costs and other portfolio expenses. It would probably make sense to roll the funds from John’s profit sharing plan into an IRA once he departed, since he’d probably save on retirement plan fees and have a better selection of investments. Any time you plan to spend less than 4% of your nest per year over a 30 year retirement, you’ll be set up for a high probability of success. Anything that approaches or exceeds 4% might warrant the help of a professional, or at least a closer look at your budget. Posted in Financial Planning, Investing, Retirement, Taxes & Accounting and tagged can you retire with $1 million, can you retire with $1000000, how to retire with $1 million, how to retire with $1000000, retirement income, retirement income planning. Good point EL. Many investment choices available to add portfolio return if need be. It came down to how much risk they were willing to take and whether their spending needs were flexible. Thanks for the comment! Thank you for writing on this topic. No particular reason. Just wanted to create a realistic hypothetical scenario. Spousal benefits would certainly help! What’s an Appropriate Cash Reserve in Retirement? Dollar Cost Averaging: Are You Really Better Off? 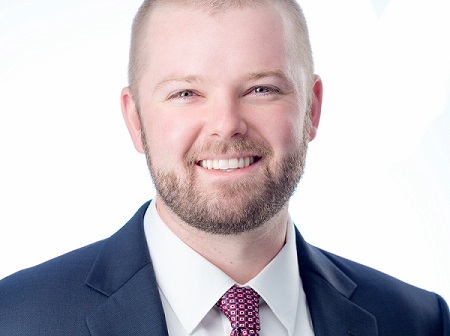 Three Oaks Capital Management, LLC is a Registered Investment Adviser in the States of Oregon and California. Prior to any advisory work conducted outside these states, Three Oaks Capital Management, LLC would become registered in that jurisdiction or qualify for an exemption or exclusion to registration. © 2014 - 2017, Three Oaks Capital Management, LLC. Three Oaks Capital Management, LLC is a Registered Investment Advisor in the States of Oregon and California. Prior to any advisory work conducted outside these states, Three Oaks Capital Management, LLC would become registered in that jurisdiction or qualify for an exemption or exclusion to registration.